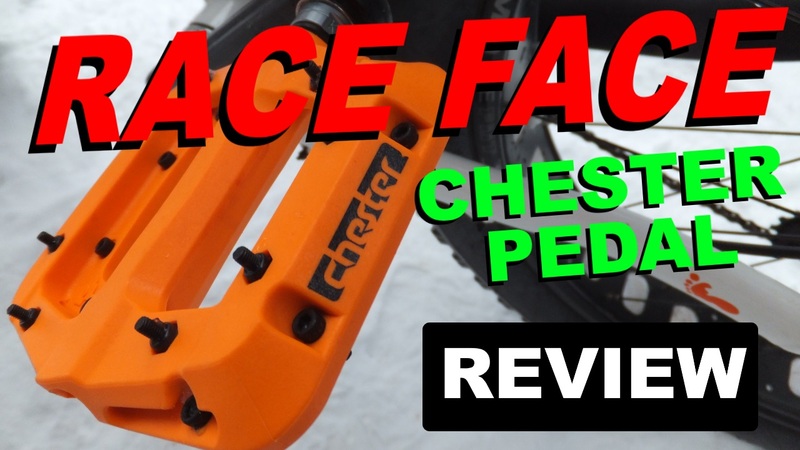 Race Face Chester Pedals | Who the [BLANK] is Chester? Pedals. 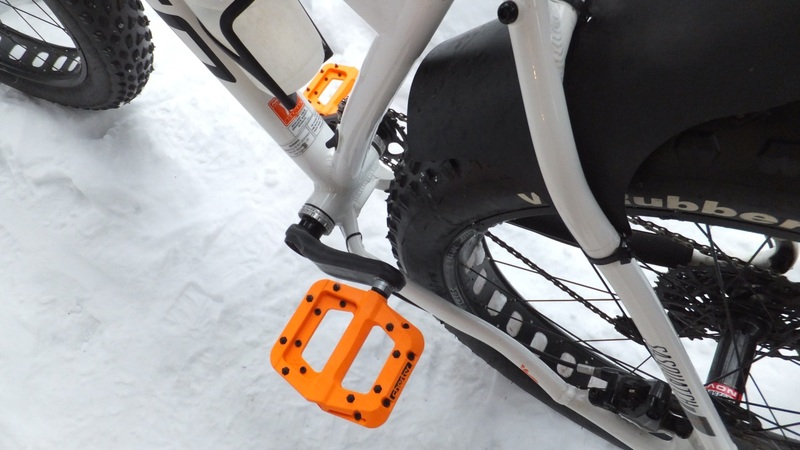 One of the three main points of contact on your fatbike, unless you have an unscheduled dismount and then the number of contact points can increase substantially. Fatbikers ride during all four seasons, in all sorts of terrain and in all sorts of weather . . . with the same bike. Therefore, we need a pretty versatile pedal, and and my opinion that would be a flat pedal with removable pins. Until recently if you wanted a quality flat pedal with pins you would be looking at some sort of aluminum alloy. They work quite well, however they are rather expensive, can be quite costly and they start showing their battle scars after only a few rides. 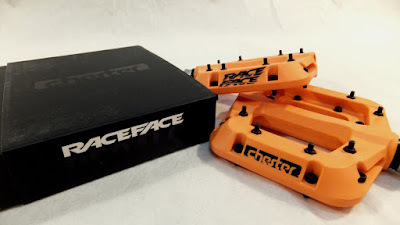 Race Face now offer a premium non-alloy option in their Chester Pedal and Fatbike Republic have secured a pair for testing. Be sure to check out the video for additional information and test footage. 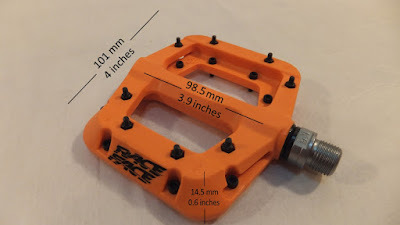 Available in a rainbow of colours (and black) the Chester pedal is thin, lightweight (claimed 340g per pair), is 100% serviceable and spins on a cromoly axle. The eight replaceable pins per side offer lots of grip on this nylon composite pedal. And . 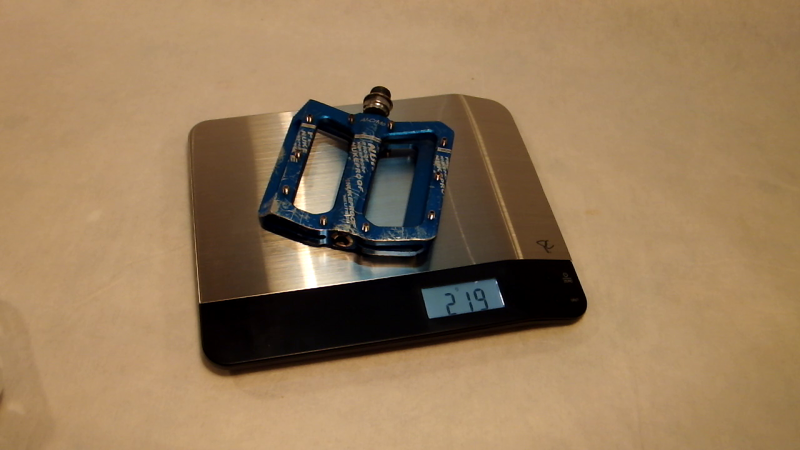 . . they are considerably less expensive than a comparable aluminum alloy pedal. 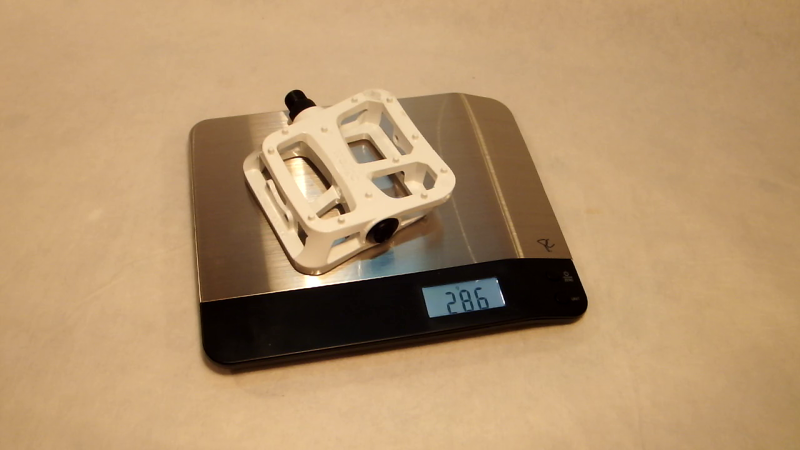 Dropping the Chesters on a scale we can see that they weigh slightly heavier at 350g. However, a pair of decent quality alloy flats with removable pins weigh in at 438g, while an inexpensive set weigh in at a whopping 572g per pair. That's almost a 1/4 lb savings over the decent flats. 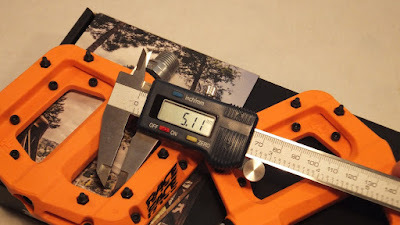 The Chester pins are also grippier than the decent quality alloy flats measuring in at about 1/32 inch longer. Although prices do vary, the Chester pedals are about 1/2 the price of a comparable quality aluminum alloy. This leaves more money in your pocket, or more to spend on your fatbike. I mounted them up to my 2016 Norco Sasquatch 6.1 that came stock with a sprinkling of Race Face gear. The orange pedals really looked nice against the orange bike accents. Most fatbikers, including myself, wear heavier lugged footwear when riding in the winter and I have actually studded my boots for traction on icy touchdowns. Did the Chesters grip and hold the boots? There was certainly an odd mixture of weather and trail conditions during the weeks of testing. From cold weather and perfect snowy trails to warm temperatures with soft snow and icy water runoff. Did the composite Chesters freeze up? And don't forget to check out the video for test footage. When comparing the Chester pedals to a decent quality alloy pedal, they perform the same if not better. 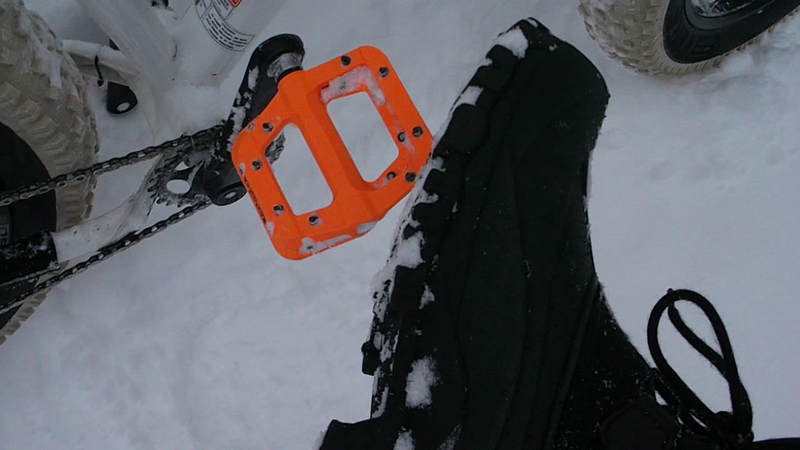 There is plenty of grip (even with heavy lug boots), they do not freeze up and are available in a rainbow of colors. You will save yourself about a 1/4 lb and they are considerably less expensive than a comparable alloy. What more do you want in a pedal? 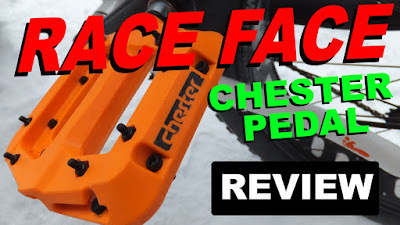 So head on over to your favorite on-line retailer or drop in to your local bike shop to take a closer look at the Race Face Chester Pedals for yourself.